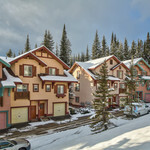 Welcome to Crystal Forest 34! 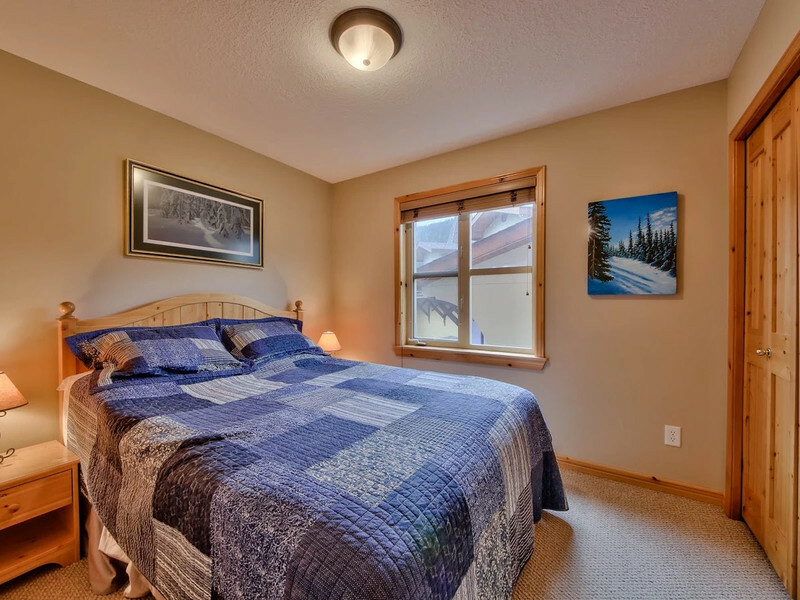 This beautiful, well appointed 4 bedroom town home sleeps 9. 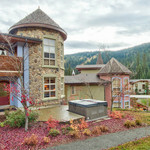 Enjoy the large private hot tub with expansive resort views. 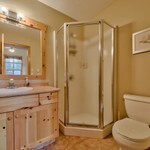 The new Owners have made many improvements and upgrades in the desirable turret style end unit. 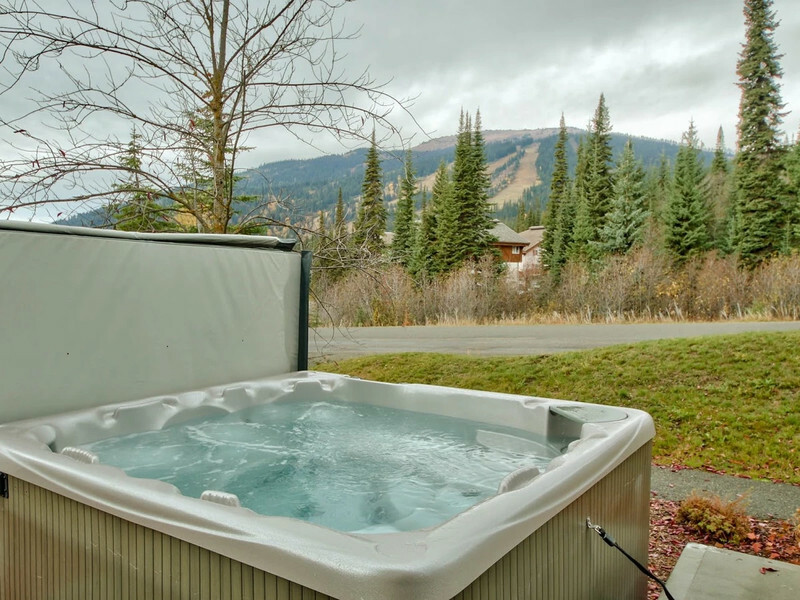 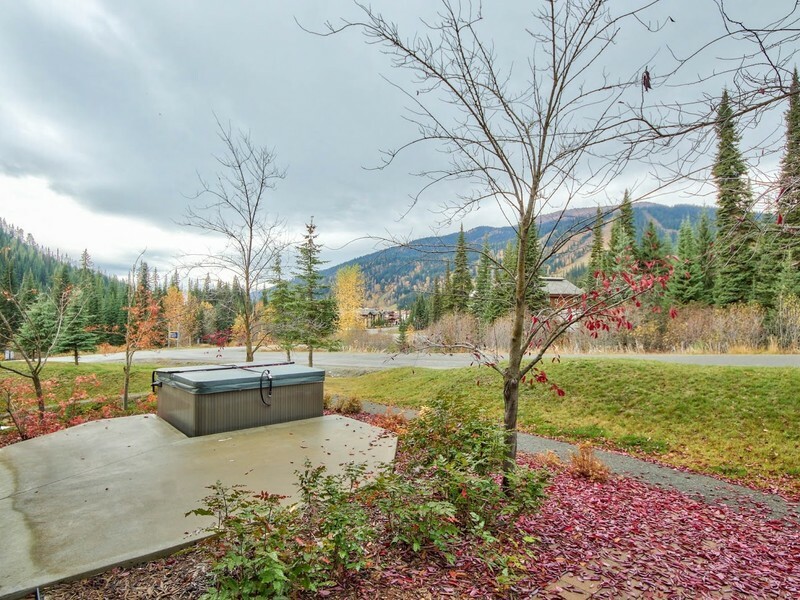 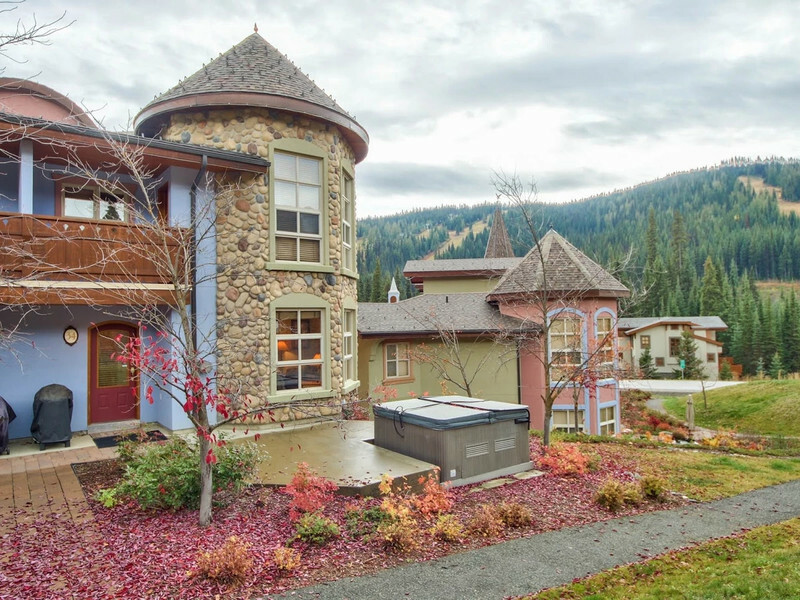 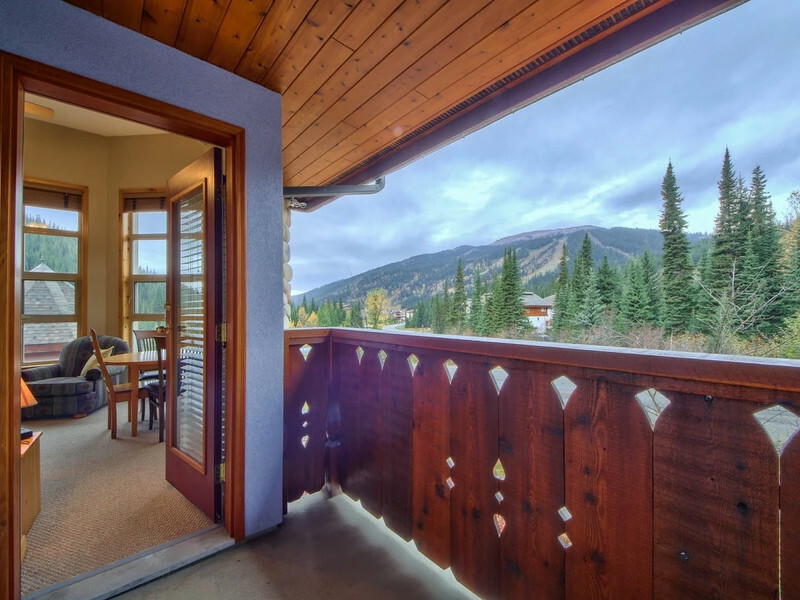 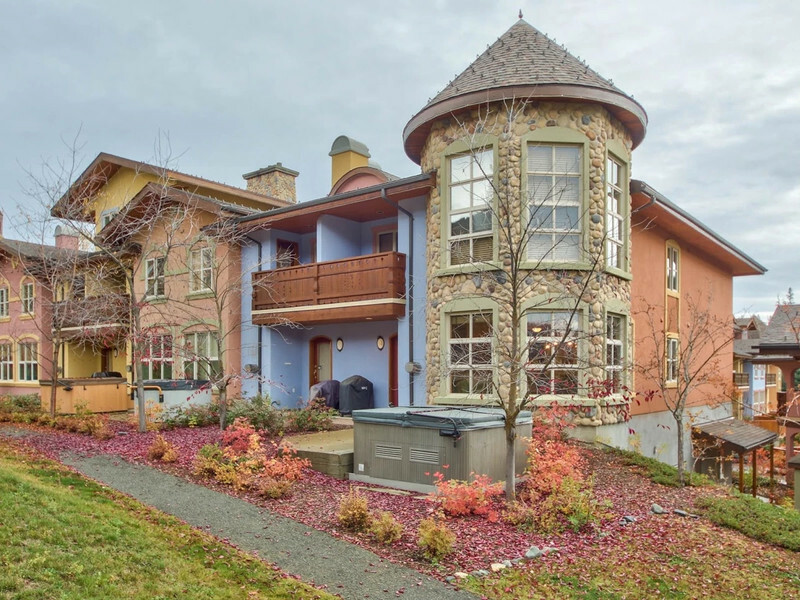 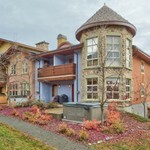 This mountatin home is level entry and can be accessed from the front hot tub deck area, or conveniently from the rear courtyard. 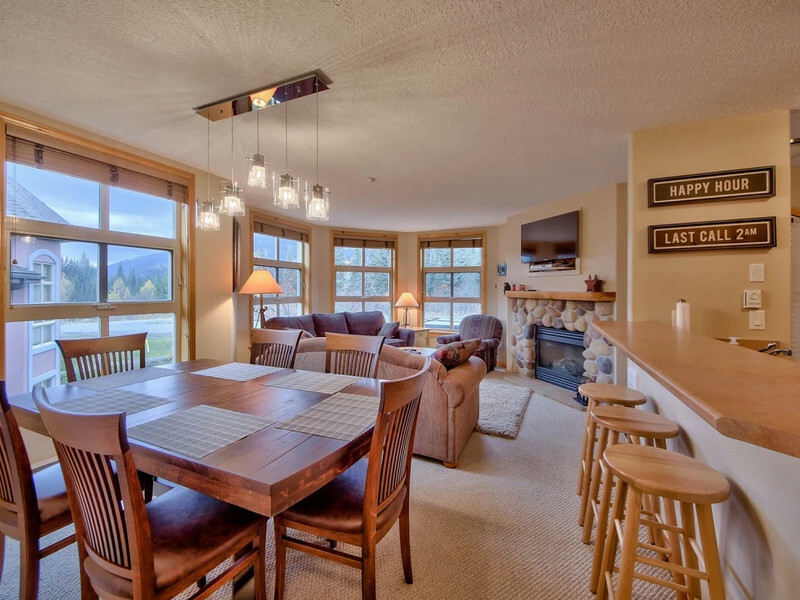 On the main floor is the kitchen, dining and living areas, a three piece bathroom, a washer & dryer, and a bedroom. 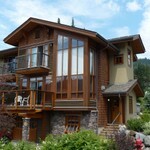 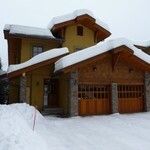 On the upper floor there is the master bedroom with ensuite, the 3rd & 4th bedrooms, and a three piece bathroom. A prime location and excellent views! 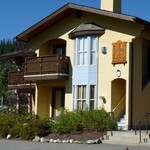 Crystal Forest 34 is a short walk to the village centre and to the lifts! 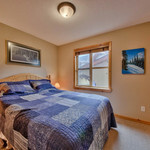 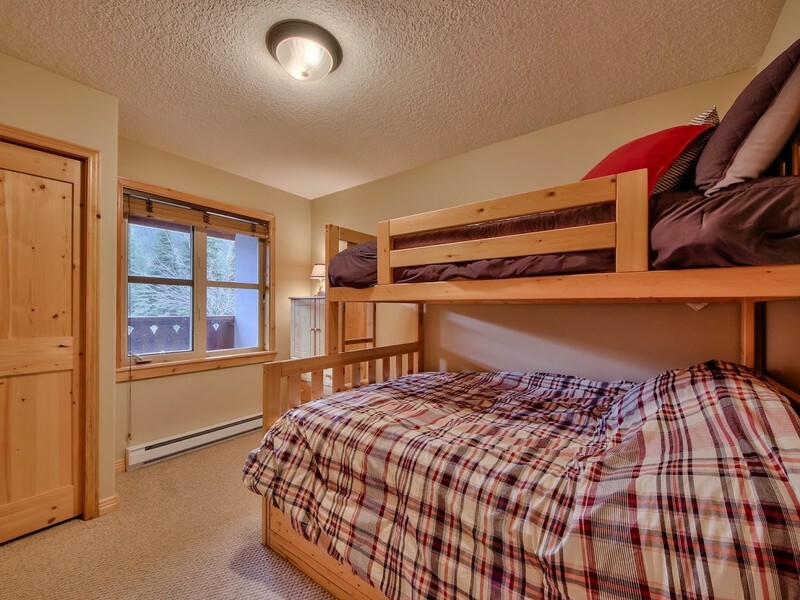 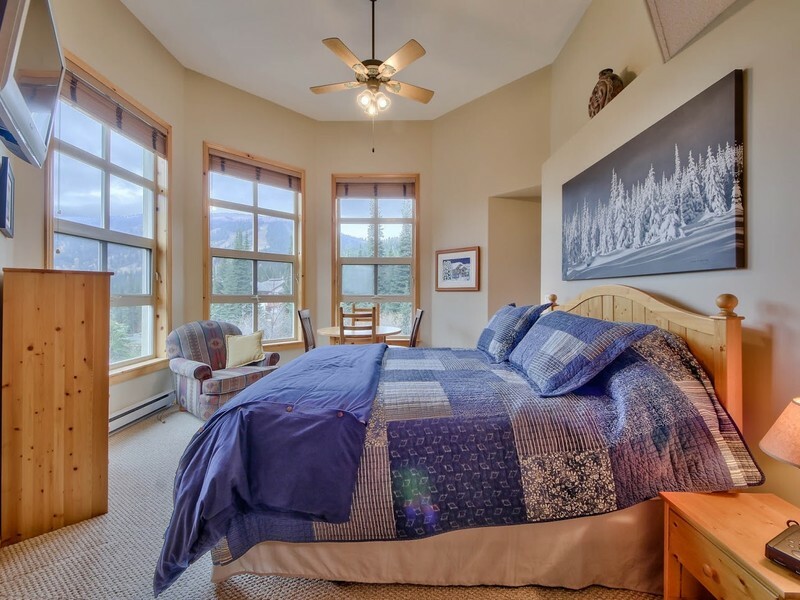 Master Bedroom (upper floor) has a queen bed & private 3 pc ensuite. 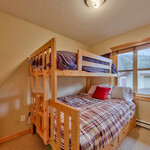 Main floor bedroom has a double bed. 3rd bedroom (upper floor) has a double/single bunk. 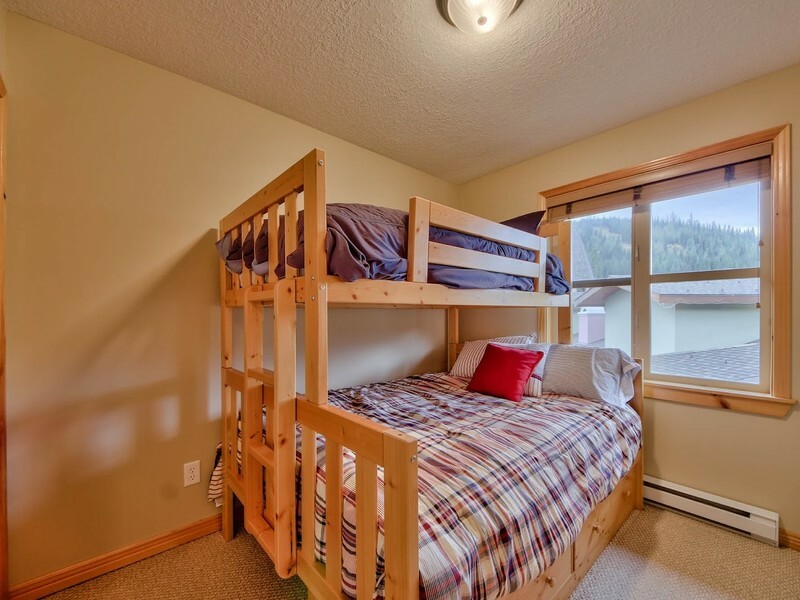 4th bedroom (upper floor) has a double/single bunk. 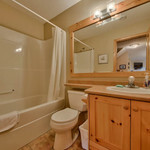 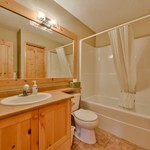 Main Floor Bathroom - tub & shower, heated floors, shampoo, soap. 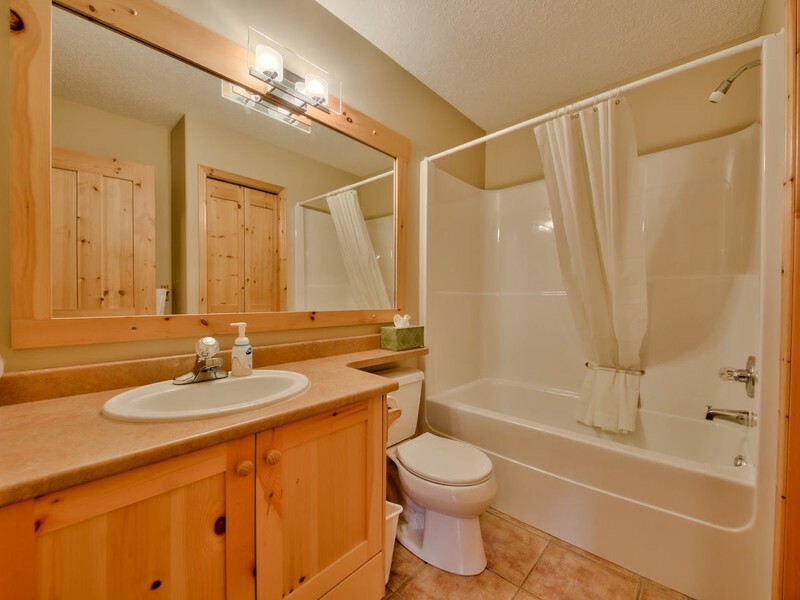 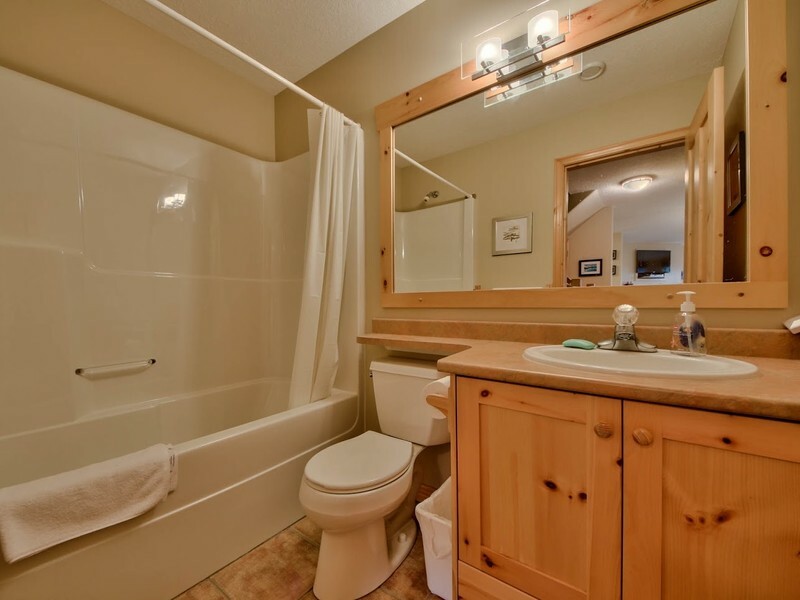 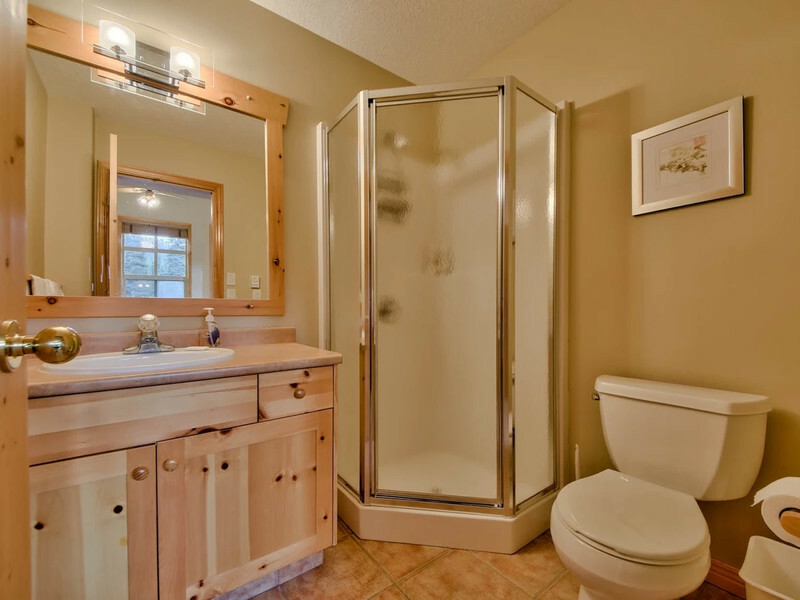 Master Bedroom Ensuite - walk- in shower, heated floors, shampoo, soap. 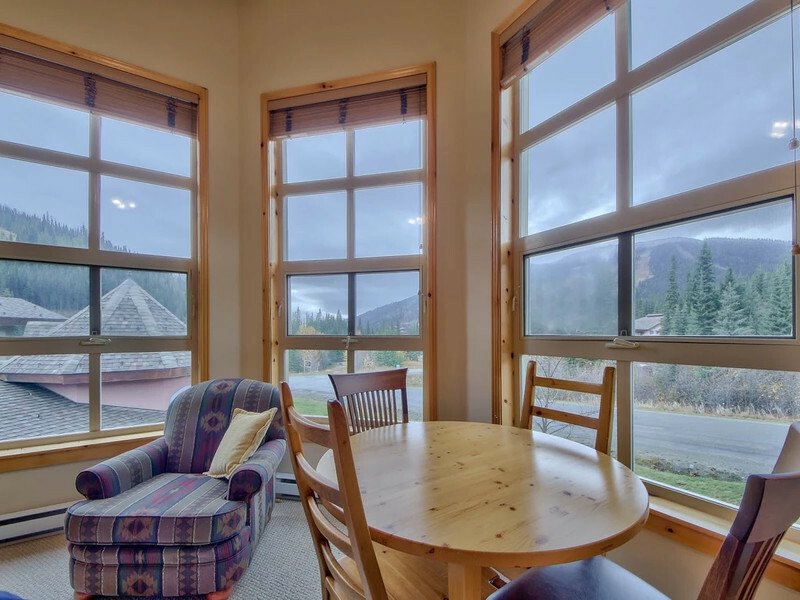 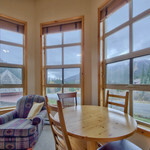 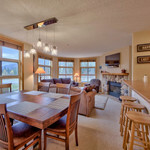 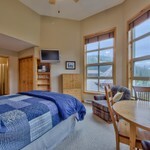 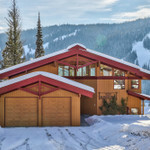 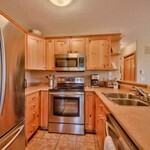 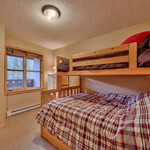 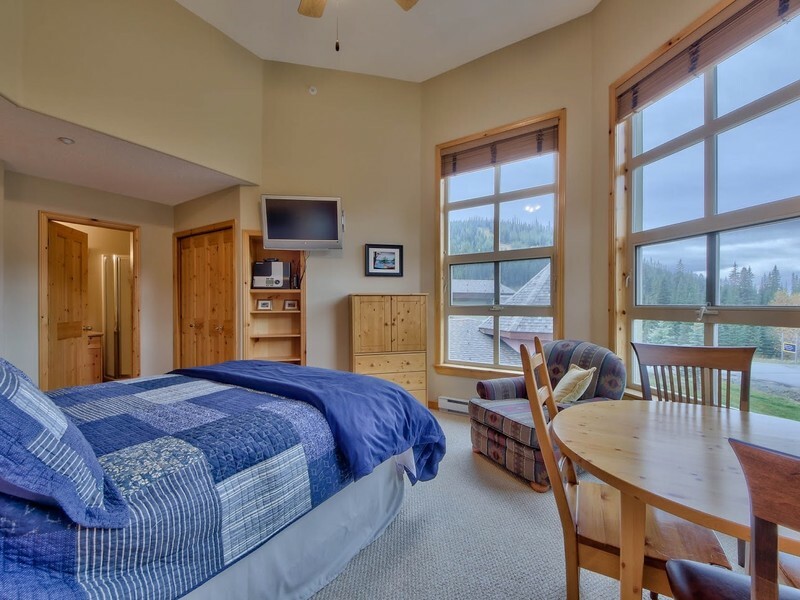 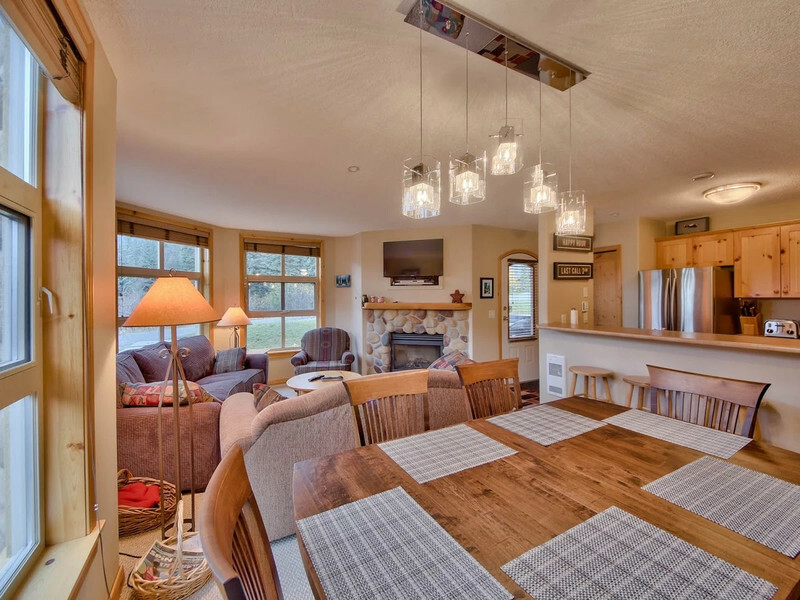 Kitchen - Enjoy cooking great apres' ski meals in this well equipped kitchen with new stainless steel appliances! 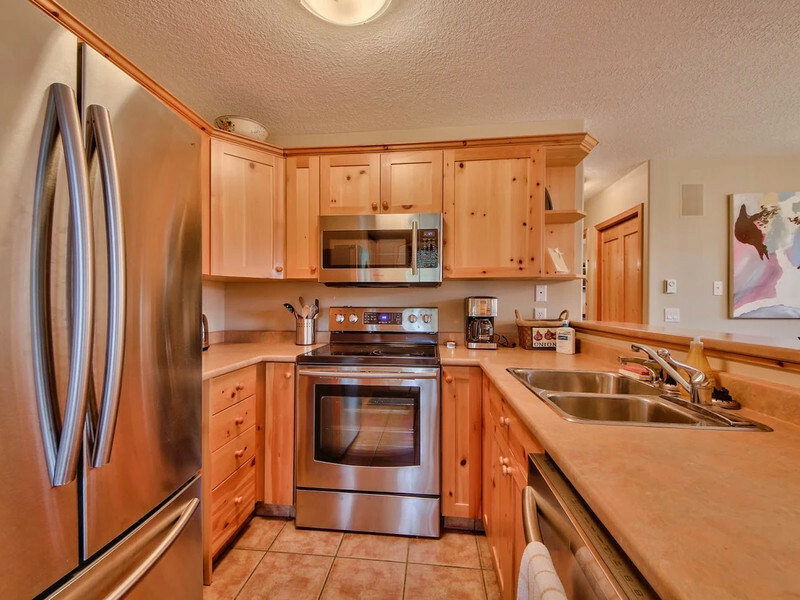 Coffee maker, full cooking and eating utensils, glassware, dishwasher, fridge, microwave, stove, toaster and much more! 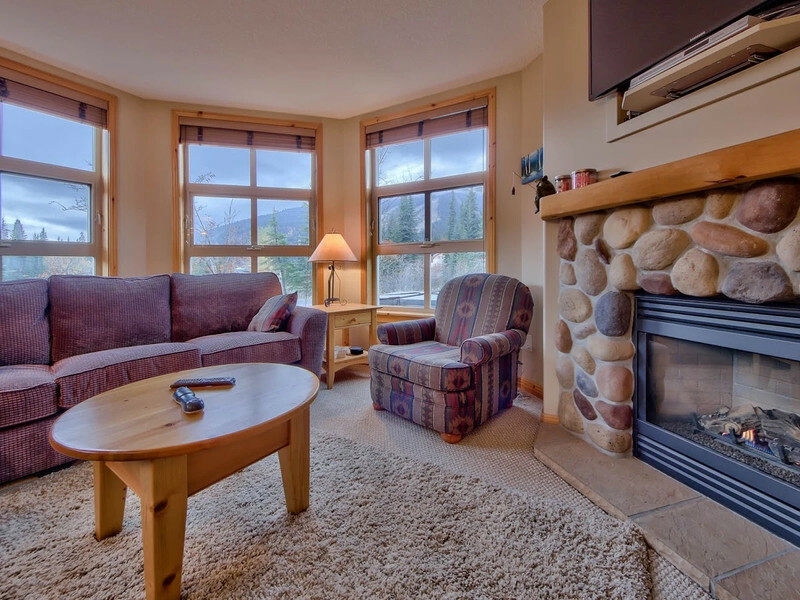 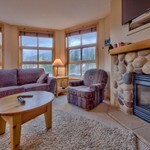 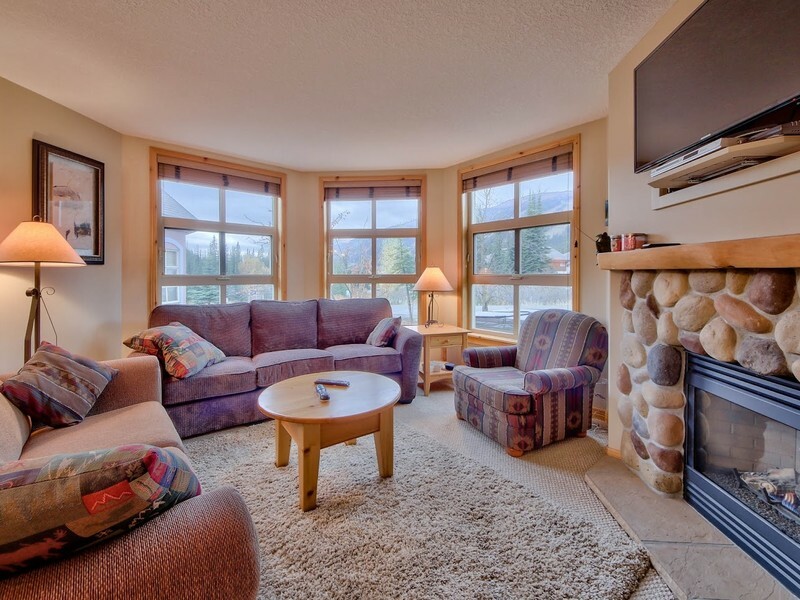 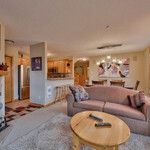 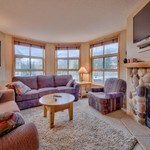 Living Area - Warm and cozy with rock fireplace, flatscreen TV, and comfortable furniture (two couches and chair). 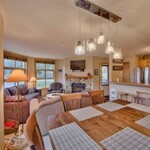 Dining Area - Table and chairs to seat 8 plus 2 stools at kitchen counter. 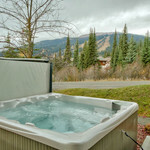 Hot Tub - Private. 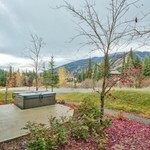 Enjoy the views! 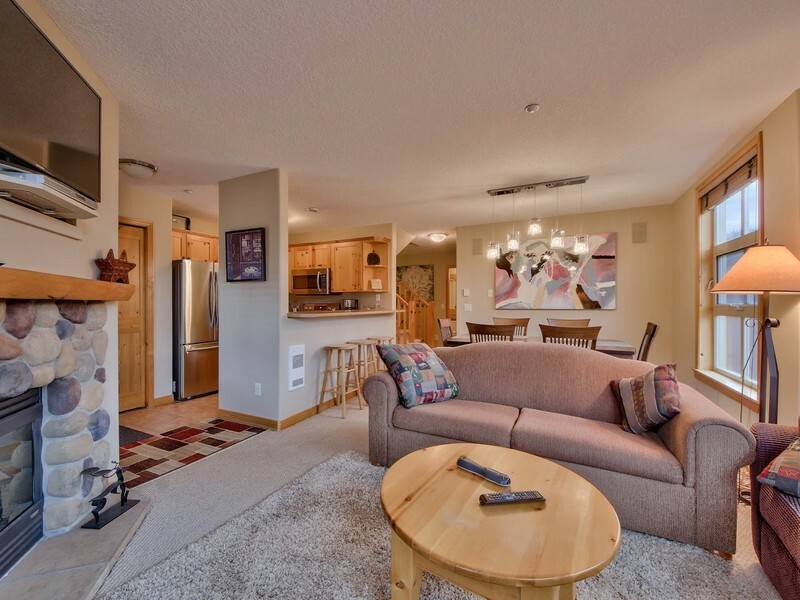 For Fire / Police / Medical emergencies call 911.